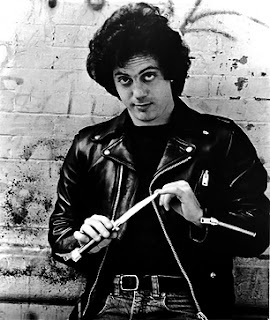 Nothing in the impressive repertoire of Billy Joel (image credit) comes close to the anti-war song Goodnight Saigon, taken from The nylon curtain, a fascinating concept album about Baby Boomers in the Reagan era. Its striking lyrics reflect on the Vietnam war. "And who was wrong, and who was right? It didn't matter in the thick of the fight." Right. The video was as impressive, focusing on children playing with war toys. The song did not score highly in the USA (which could be due to the critical notes in an era when the Vietnam war was not fully digested), but was a considerable hit in The Netherlands in 1982.